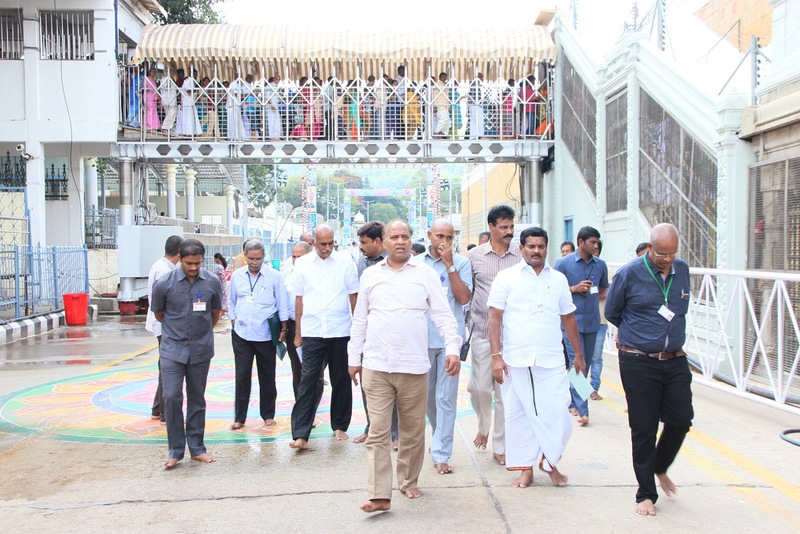 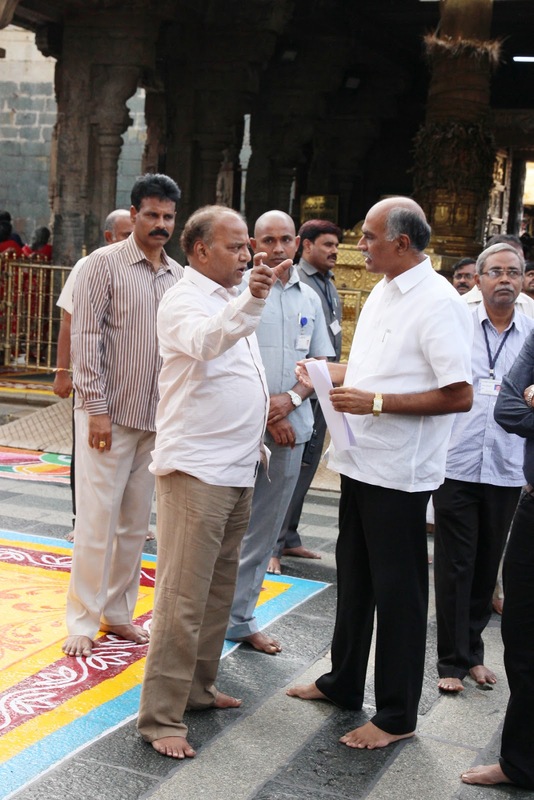 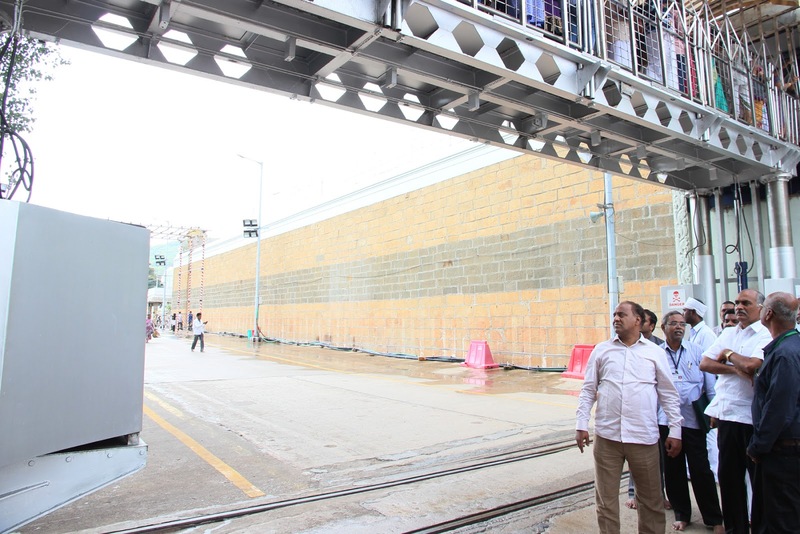 Tirumala, 6 November 2018: As the auspicious Vaikuntha Ekadasi is scheduled on December 18, Tirumala JEO KS Sreenivasa Raju inspected various places on Tuesday. 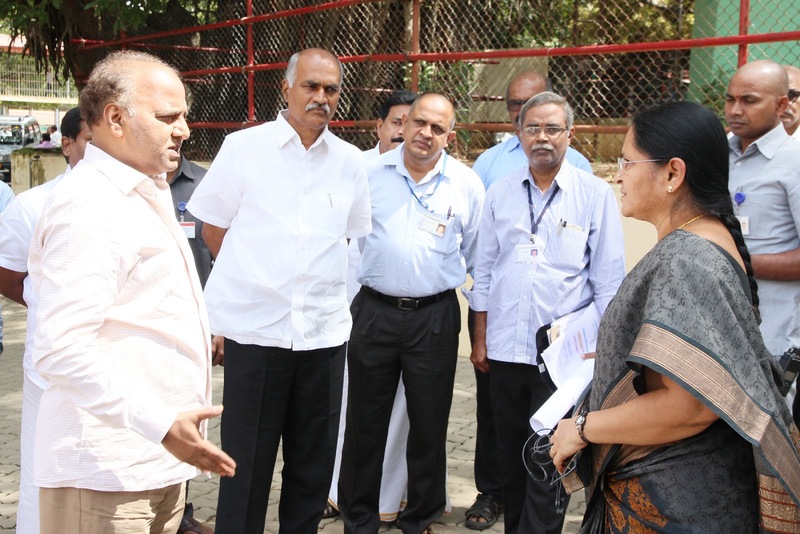 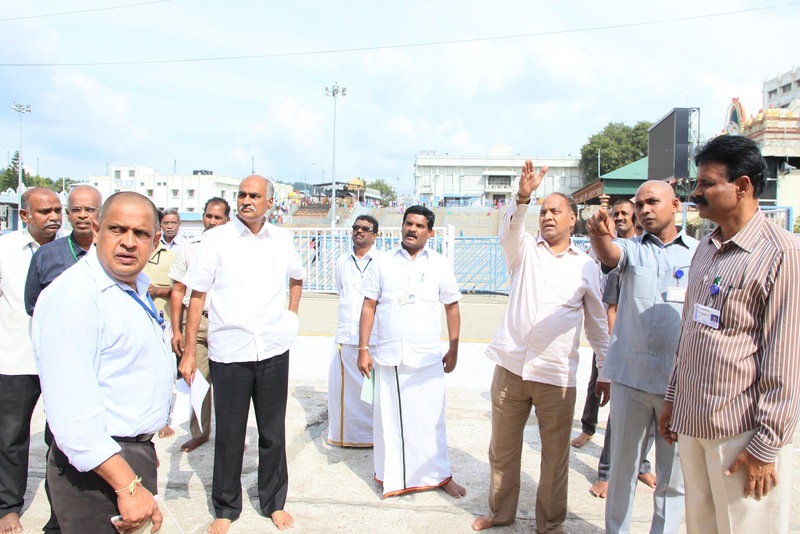 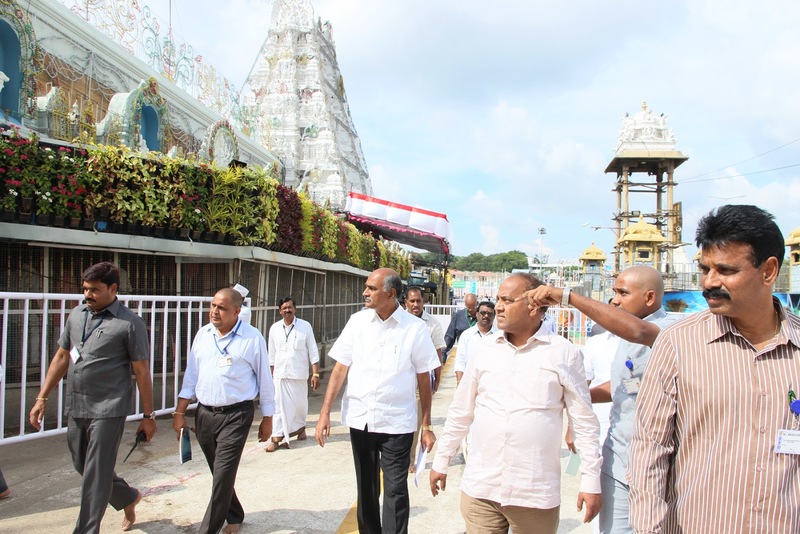 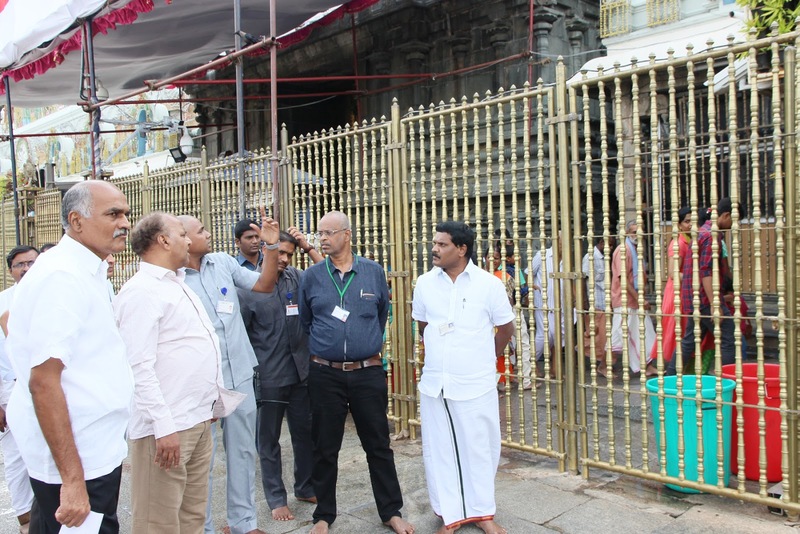 The JEO inspected Narayanagiri Gardens, Four Mada streets, Temple to assess the arrangements to be made for the big for the sake of thousands of pilgrims. 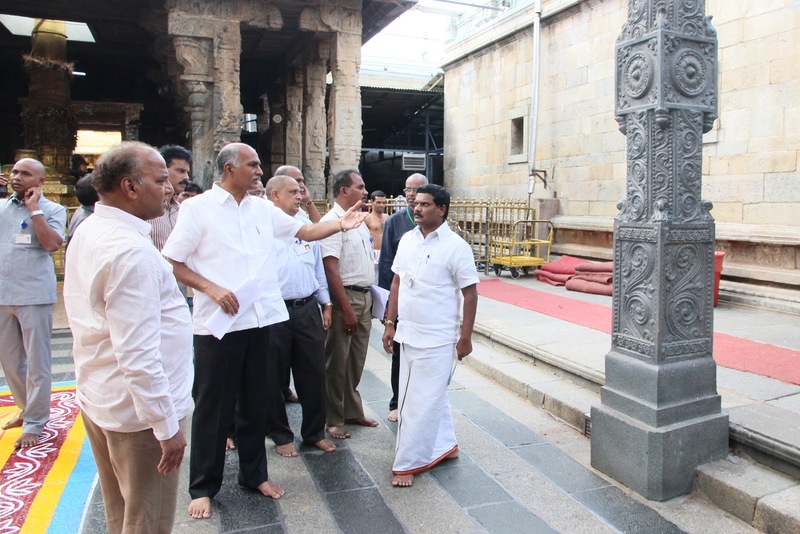 He said under the instructions of EO Anil Kumar Singhal, today we have inspected some places where we can make arrangements to hold the pilgrims in Narayanagiri Gardens and in the galleries of four mada streets. 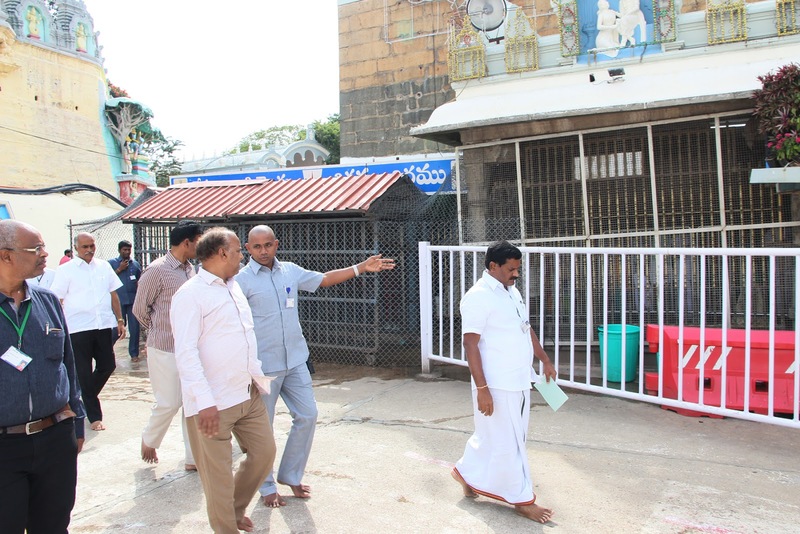 Already we have constructed some temporary toilets in Narayayanagiri Gardens and in Mada streets. 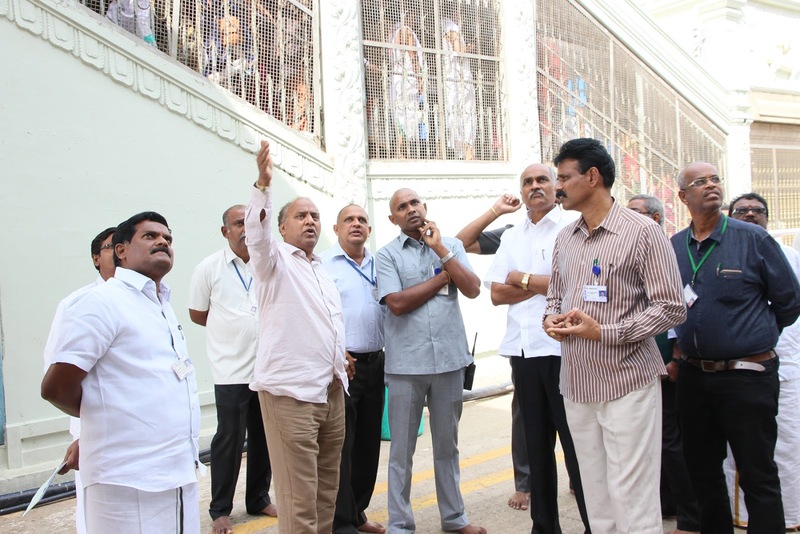 For every 500 pilgrims we will arrange an officer to monitor the supply of drinking water, Annaprasadam and other requirements. 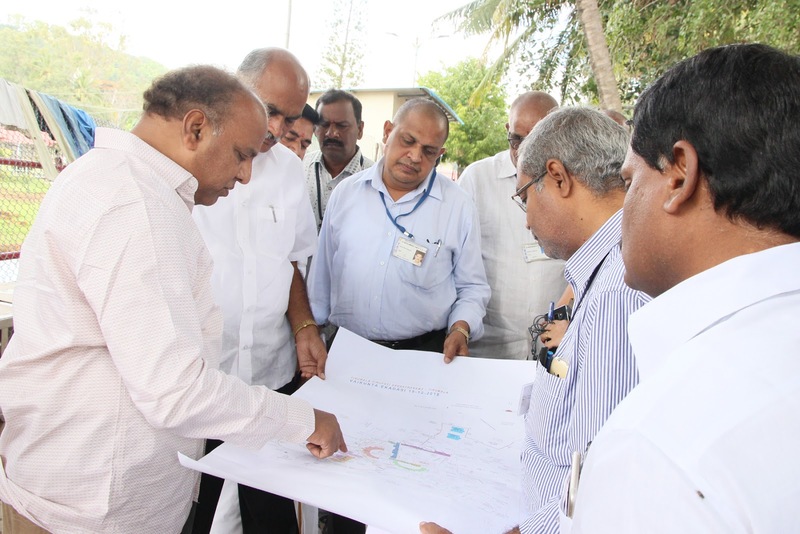 This time it is planned at micro level keeping past experiences", he added. 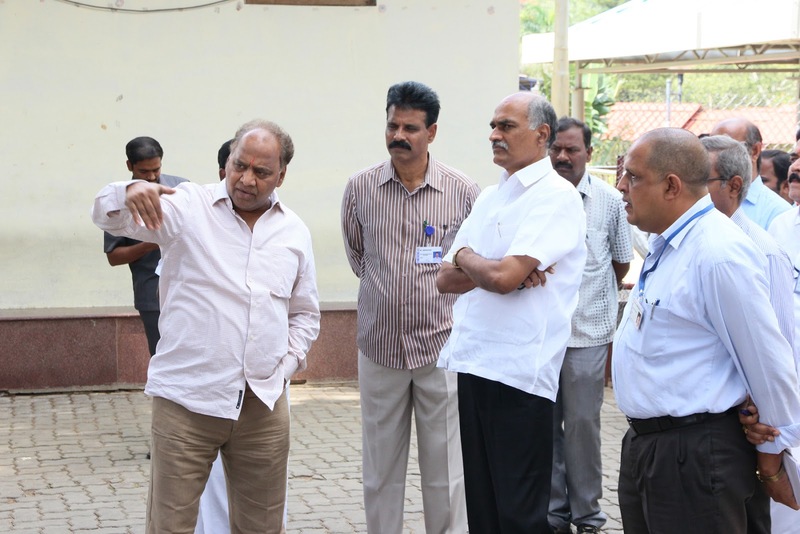 GLN Shastry, Health Officer Dr Sermista were also present.